As a professional field service technician, each service job requires more than technical skills. Of course a technician benefits from product knowledge to complement technical skills, but it’s soft skills that make or break the customer’s overall experience. Field technicians must keep up with changing technology and applications to succeed, and it’s this thought process that leads Fairbanks Scales to train its employees how technology and IFS Field Service Management™ (IFS FSM) can benefit the company’s customers. Fairbanks Scales manufactures and services industrial scales that are heavily-calibrated and regulated by state Weights and Measures departments. 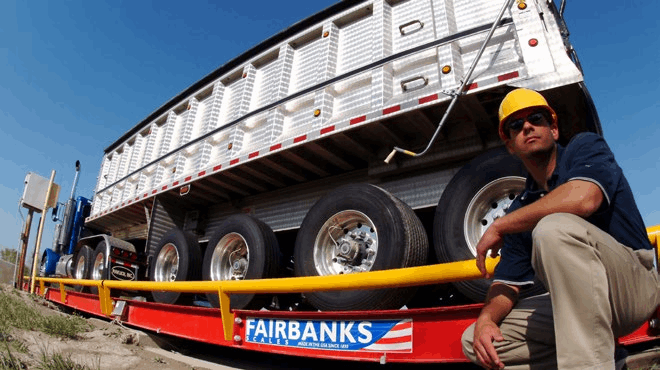 Fairbanks service technicians are licensed in each state by the Weights and Measures departments and have the authority to calibrate and sticker highway and railroad track scales in addition to other industrial weighing equipment. Approximately 40 percent of the company’s revenue is generated through calibration contracts, yet Fairbanks still generates hundreds of billable transactions every day nationwide and leverages IFS FSM to ensure business processes are automated and streamlined. Prior to going live with IFS FSM, Fairbanks Scales operated on a paper system and managed service tasks using emails, spreadsheets and calendars. Paper reports were attached to emails and calendar meetings and the service coordinators rekeyed all of the data back into the legacy system, which slowed down processes to a less-than-desirable speed. The large majority of the company’s IFS FSM users are field technicians using the mobile client. After onboarding and training of the product, noticeable improvements in productivity have occurred because of employee reception to the solution. Working within tight deadlines because of customer service level agreement terms and high expectations of customer service, Fairbanks technicians appreciate the automation of IFS FSM. “Mobile is very convenient and streamlined. The technicians can record information right then and there on the job site. The software is a snap to deal with a service report in the field and it’s automatically uploaded to the system. For that reason, I think adoption is very positive for all of our employees,” said Bruce Breeden, Vice President of Service Operations at Fairbanks Scales. Moving away from a paper system and towards an automated solution enabled Fairbanks to better recruit and retain employees, streamline processes and improve productivity. Fairbanks trusts IFS FSM solution to ensure employees are able to make efficient use of time, which employees value and positively impacts business processes. “Service coordinators and administrators who use the whole client solution have completely streamlined their process. They no longer have to re-enter customer information and contracts are attached to tasks and entitlements are applied. Now instead of re-entering information, time is spent ensuring that invoices are accurate,” said Breeden. Recognizing that customer service is key and a professional field service technician should possess multiple skills to be most effective in the field, Fairbanks Sales rolled out a program called Field Service7sm. The program is inspired by Breeden’s book, “The Intentional Field Service Engineer”. The book highlights the necessary critical focus areas of technical, soft skills and job skills including use of IFS, safety, productivity and inventory management, to be a professional and intentional field service engineer or technician. Field Service7sm has become the foundation for onboarding new employees. By managing service and maintenance operations with IFS FSM and emphasizing the importance of product knowledge, technical skills and soft skills that impact customer interactions, Fairbanks Scales prepares its employees to operate efficiently, ensure customer satisfaction and achieve high employee satisfaction. Fairbanks Scales goes back one service center at a time and trains everyone on the Field Service7sm concept applying soft skill training as necessary and focusing heavily on improving technical proficiency and training on-the-job skills. “It’s the practice of combining the use of IFS with our training of Field Service7sm that makes an impact on our customer engagements and our employee retention,” said Breeden. Experiences are more important than ever as customers have every platform available to broadcast when things go wrong. Engagement with customers is imperative to the service industry, overcome with competition. This is something that Fairbanks Scales recognizes and embraces. To keep customers at the fore-front of every business decision, Fairbanks continues to stress the importance of understanding the significance of soft skills, technical skills and product knowledge in the field. Breeden hopes to continue involvement of the Field Service7sm concept with IFS FSM to assist technicians in offering exceptional customer service.